Sen. Elizabeth Warren (D-Mass.) 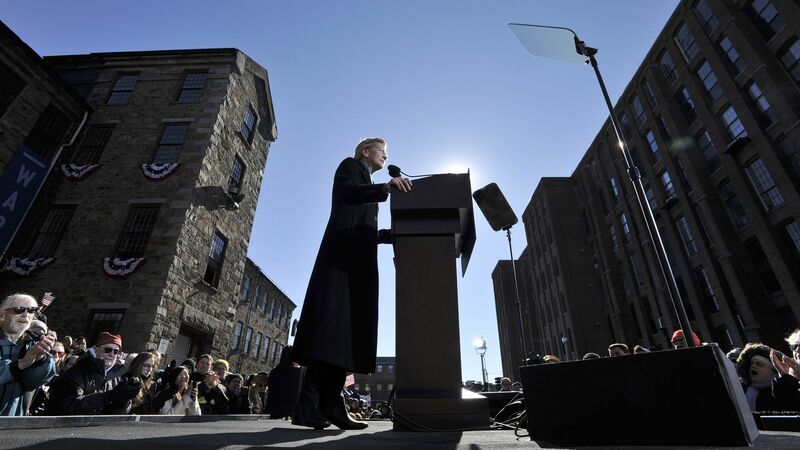 officially announced her 2020 presidential run at a rally in Lawrence, Mass. on Saturday, pledging her place in "a fight to build an America where dreams are possible, an America that works for everyone." What she said: Warren promised "big, structural change," calling President Trump "the latest — and most extreme — symptom of what's gone wrong in America." She added, "It won’t be enough to just undo the terrible acts of this administration. We can’t afford to just tinker around the edges — a tax credit here, a regulation there." The senator laid out a policy agenda that includes tackling corruption and a sweeping economic platform that features a wealth tax and Medicare for All. "There'll be plenty of doubters and cowards and armchair critics this time around," Warren said. "But we learned a long time ago, you don't get what you don't fight for." Warren has branded herself as a progressive populist, speaking of a "middle-class squeeze [in which] millions of families can barely breathe. ... People will say it's 'extreme' or 'radical' to demand an America where every family has some economic security and every kid has a real opportunity to succeed. I say to them, 'Get ready, because change is coming faster than you think.'"